If you are a senior that wants to learn how you can remain as active as possible in your golden years without injuring yourself you ought to read a copy of Healthy Happy & Fit. Of course it is not a replacement for sound medical advice but it does highlight things that other seniors participate in or do to remain as healthy as possible. No matter what age you are, it is important to do some form of exercise and to eat properly as a sedentary lifestyle filled with the consumption of unhealthy foods is not good for anyone at all. The audiobook explains how seniors can do all that and more! Dwayne Whiting understands the challenges that many seniors go through as his parents and their siblings are in the golden stage of their life. One thing that he did notice which intrigued him was the fact that as long as they were feeling okay, they would go out and get some exercise done. It could be a walk or even a trip to the gym. He respected their zest for life and admired the fact that at their age they were still willing to get up and keep active. 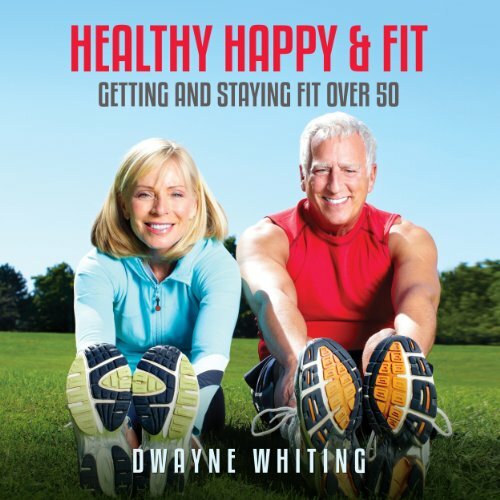 Dwayne always kept this in his mind and when he had the opportunity to, he started to compile information on how seniors can keep healthy and active. That led to his book.